The health of your connection to the core essence of you is integral to reaching your highest levels of wellness and potential. If you’re here, you’re likely interested in better health, a better life or a better world. Perhaps all three. Those are my goals as well. I get a lot of questions like, “What do you actually do with the horses?” or “How does it work?” and now, “What do you mean, ‘Soul Health? 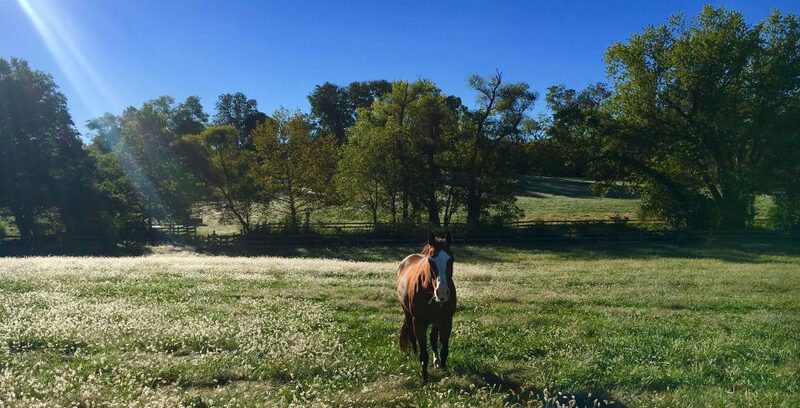 '” A decade ago, when I named “Horses for the Soul,” I began a mission to define the significance of the soul and how being with and working with horses nurtures the soul, improves overall health, and helps us along on our path in life. Together with my colleague, Hallie Bigliardi, we have designed a special Soul Health: Ultimate Integrated Wellness program that includes two full days on the farm with the horses, and about 10 hours of study and clarifying exercises online in advance preparation. This program will be offered at regular intervals throughout the year, so stay tuned for the next dates. We’ve met a lot of people who have had years of talk therapy and are still seeking something to propel them into real transformation. Some people have been dedicated to rigorous fitness programs, yoga or other wellness practices and still find there is something missing from their overall health and satisfaction. We’ve found that horses hold a key. The key is often strengthening your connection to your “inner compass,” or your “soul’s calling.” If you’ve ever seen someone deliver an outstanding presentation, perform a musical solo that moves an audience to tears, or execute a show-stopping athletic performance, you can bet that they were in full alignment with their body-mind-spirit-and SOUL. Deep down what you care about, what you live for, what you want for yourself, your loved ones and the world at large… it matters. Here is a window into what it looks like to practice connecting and committing, which we all need to do both to ourselves and to others, as well as to our goals. This video shows the moments of flow and the moments of challenge. I hope that it sheds light on what we do, how it works, and a glimpse of just a few components of SOUL HEALTH.